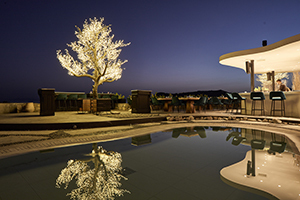 Myconian Imperial is a proud member of Leading Hotels of the World and possesses an exclusive address on Mykonos. Everywhere, openings onto the expanse of sea and sky are invitations to move seamlessly between in and outdoors, and discover the many secret lookouts, the luxury spa, the gourmet restaurants and the entertainment deck with seawater pool and seductive bars. 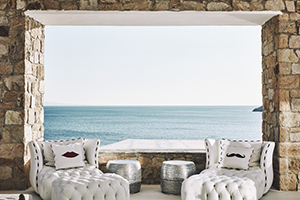 Poised on the foothills of Elia Bay, immediately above the aquamarine waters and famously fine sand of their private beach. 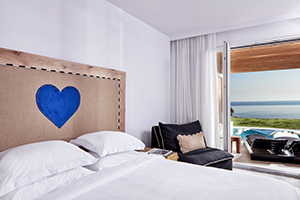 The Myconian Imperial prides itself on the luxury of its spacious rooms and suites that combine contemporary comfort with traditional Cycladic charm. 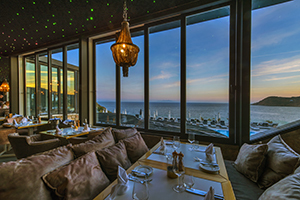 Dine among the stars at the Myconian Imperial’s à la carte restaurant, those suspended in the sky above and the stellar culinary events prepared by Executive Chef Tasos Almpanis. 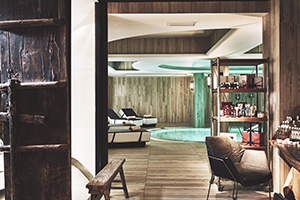 Myconian Imperial Spa offers treatments with a range of products from Elemis and Ligne St Barth. Ideal destination for honeymooners and young couples. 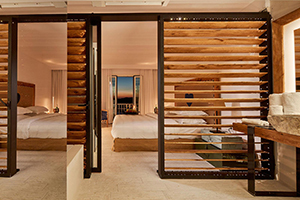 111 guestrooms and suites offering impressive views from the terrace with some room having the option for outdoor Jacuzzi or private pool, while the suites are with private pool. Myconian Imperial Spa with Fitness Center. 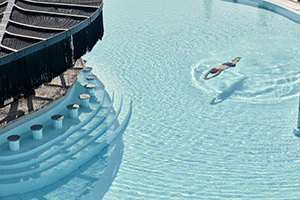 Twin saltwater pools and Jacuzzi tub, feet-in-the-water cocktail bar with panoramic views of the Aegean sea. Luxury coach shuttle service to Mykonos Town operating daily until 1am. Luxury shuttle and limo transfer service. Concierge services and excursions, water sports and PADI diving center.